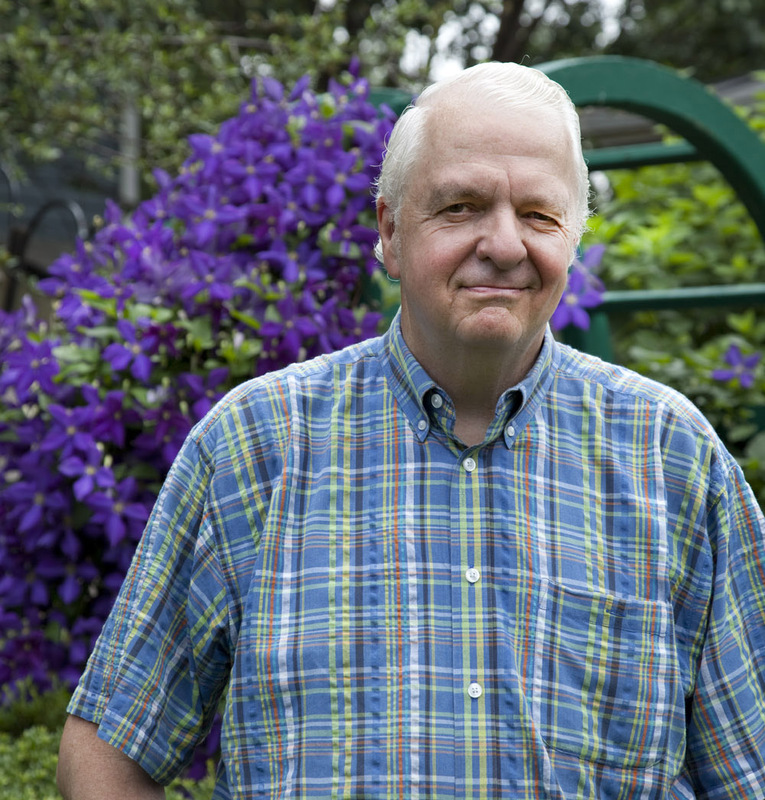 Perhaps you’re one of those dreamy older folks — or a dreamy young folk, for that matter — who fantasizes about a nice-and-easy retirement. 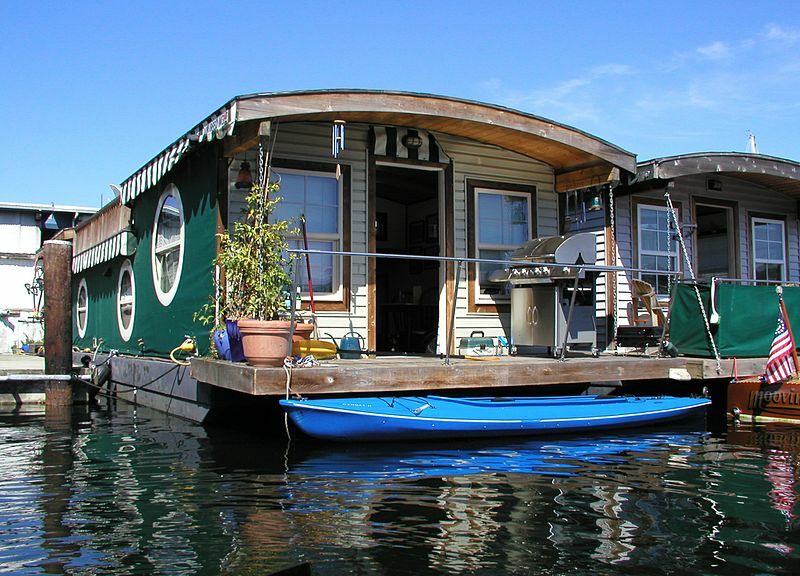 “I’d love to live on a houseboat,” you may have said, wistfully. You know: loll around all day on deck with a good book and a cool drink. Toss a line over the bow and catch dinner. Fall asleep to the gentle swells in the harbor and a foghorn in the distance. Take ’er out for a spin — if that’s the right term for a boat — to visit friends down the way. Before I give you my thoughts on this preposterous idea — I guess I just gave you one — let me clue you in on what houseboating is all about. I know this not from firsthand experience, but from hanging around with some live-aboards in Louisville, Kentucky a few years ago. “Live-aboards” is what fulltime houseboaters call themselves. According to the U.S. Census Bureau, more than 200,000 Americans live on the water year ’round. They’re part of a subculture — similar to that in many parts of the world — whose home is on the water. Not on the water like the oceanfront Kennedy family compound in Massachusetts is on the water. Atop the water, floating. 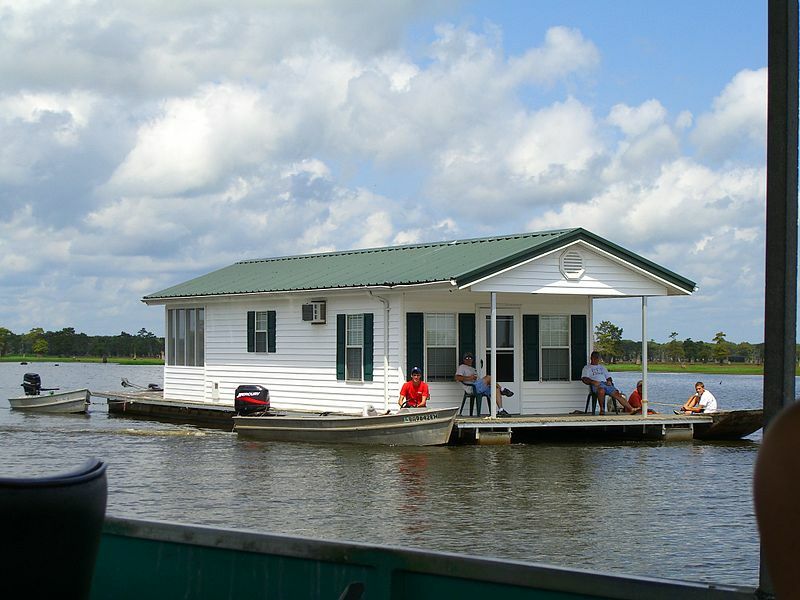 Thousands of Kentuckians are among them, dwelling full-time in houseboats on the many lakes that dot that Mid-South state. Others park their flat-bottomed houseboats along the banks of the broad Ohio River. A few years ago, I visited some of them on Harrod’s Creek, which flows off the Ohio in Louisville — Kentucky’s largest city. I’ll tell you what they told me about the live-aboard life, and then bring you up to date on what’s become of them and how they now feel about residing on the water. Jim Garrard was a computer specialist for a lumber company. 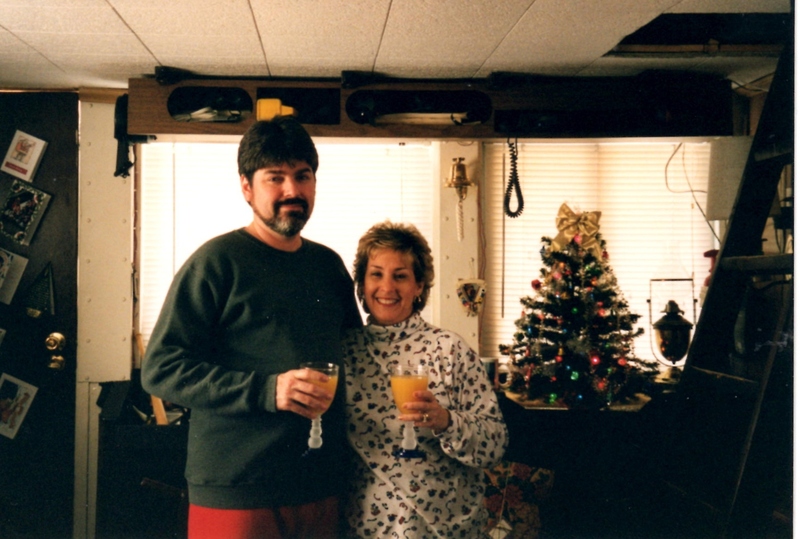 He and his wife Linda, who’s a nurse, hung out on an 11-meter-long, double-decker houseboat, the Cajun Angel. The Garrards had greatly compacted their lives when they left a four-bedroom house in New Orleans, Louisiana — which explains the Cajun part of the boat’s name — nine years earlier to move to Louisville. The Cajun Angel’s lower deck held a kitchen, a head — as mariners call the bathroom — a microwave oven, a television set attached to an outside satellite dish, and a couch that folded out into a bed. You climbed a ladder through a hole in the ceiling to the couple’s bedroom, which was just 3 meters long by 3½ meters wide. On a houseboat, loafing is an artform. There are the innumerable chores of any boat — swabbing the deck, polishing fixtures, draining waste-water tanks, tinkering with the engine, and — once every few years — pulling the boat out of the water to remove the freshwater mussels that affix themselves to the hull. Eight or nine months a year in Louisville’s temperate climate, life on the Garrards’ houseboat was centered on deck. Barbecue grills up and down “houseboat row” filled the air with smoke and mouth-watering aromas. “Yes, that does sound exciting,” I replied, not meaning a word of it. This “good life” is not for everyone, though, no matter how many fish jump out of the water and into your frying pan. I was struck by the houseboats’ close quarters; by the ever-present, if faint, odor of gasoline; and by the marina’s relative lack of privacy. You can’t build fences between you and your neighbors, after all. To me, anyway, “Everybody knows everybody” sounds real friendly-like, but only up to a point. A redneck, in the unlikely event you don’t know, is a term for a southern white person of the “working class.” It’s derisive or affectionate, depending upon whether YOU’RE the redneck! I asked Jim whether the live-aboard life was cheap. I never saw the $1 boat, which is probably good. The Garrards thought they would save a ton of money on living expenses when they bought their houseboat. But there were clothes to be washed and dried at a laundromat, storage lockers to be rented for all the goods that would not fit aboard, and, believe it or not, property taxes to be paid on the boat’s berth. And there can be danger on the creek. The Garrards rode out one flood in 1997 in which they had to push away uprooted trees that were rushing downstream, straight for the Cajun Angel. A few slots down the marina, Paula Zipp told me she remembered falling off the top deck of her houseboat and breaking her arm. Then there was the year the Zipps had to zip back to their boat (sorry) during a flood. And when we got there, there sits my boat. It looked like it was in the middle of the river. The only thing holding it was an electric cord that had been lashed to a post. The flood had broken all the ropes, but it had not broken that. And if it hadn’t been for that, the boat would have been down and over the dam. 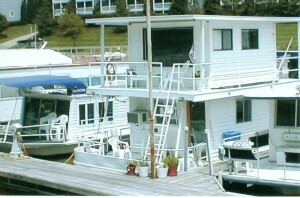 At another marina on the creek, Allan Dayton and Debbie Elder lived aboard the Key Largo, a 1972-vintage houseboat. Allan was a computer troubleshooter. 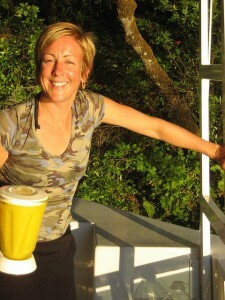 Debbie took in sewing and made draperies on the Key Largo’s deck. 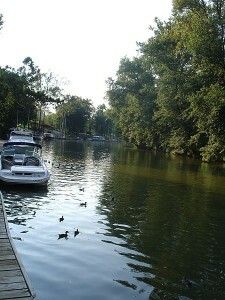 The Key Largo was one of the entertainment centers on Harrod’s Creek. Allan cranked up a karaoke machine that played the harmony parts of popular songs while guests attempted — and I do mean attempted — to sing the melody. “We’ve many times seen the sun come up with the karaoke machine still blaring away,” Allan mused. If that’s not enough excitement, houseboaters can always rev up the engine and rumble off to a riverfront restaurant, a festival or a fireworks display. Or they can walk a few meters down the dock and start a conversation — or a party — with like-minded folks in Louisville’s tight-knit community of live-aboards. Only it’s not quite as tight-knit as it used to be. Shortly after we talked, Jim Garrard got a promotion that required a move to Memphis, Tennessee. 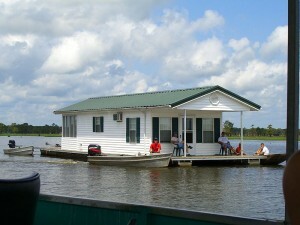 He and Linda now live across the Mississippi River in the state of Mississippi, and on dry land. There are two reasons, Jim says. The Mississippi itself runs far too fast, with too much barge and other traffic, for anyone to tie up a houseboat. And the closest quiet creek to his job is 1½ hours away. “What would be the point to commuting that far, to and from a houseboat?” he asked, logically. The bigger reason the Garrards are on terra firma, though, is that the downsizing from a big home to the cramped Cajun Angel proved more annoying than they realized. The couple missed the elbow room and having distinctly separate places in a real house for cooking, sleeping, entertaining, and bathing. 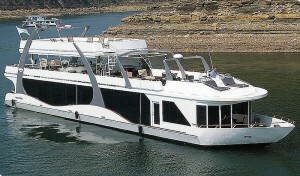 On a houseboat, even a big one, it’s all pretty close together. “Come retirement, maybe we’ll get back on the water,” Jim told me, not very convincingly. Allan Dayton and Debbie Elder are on dry land now, too, but only as of three months ago. Both took ill and, as Debbie told me, “getting in and out of that hatch several times a day was more than we could handle.” They’d be back on the Key Largo in a flash, though, she says, if they were up to it. The Hideaway marks 50 years in the water this year. Paula says things are quieter, a lot more private, on the marina than they were a few years ago. “Ever’body moved to Florida,” she told me. “You know, the party crowd.” And because of the tight economy, a lot of berths are empty. She battled another flood just last year. “The water just kept rising and rising and stayed there,” she says, marooning her and others, since the road to the marina’s clubhouse and land-based civilization was underwater. “I still got my exercise, though,” she said. 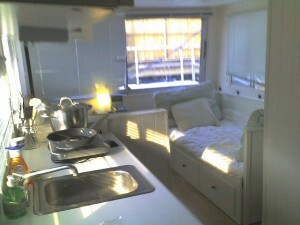 I’m glad I met these live-aboards, but you wouldn’t catch me on a houseboat for more than a chat and a brew. I like space, privacy, a lawn to mow, a room for my 1,936 beer bottles, and trees from which I can hang bird feeders. And I don’t want those birds to be seagulls. I don’t like karaoke machines, the scent of gasoline for more than the time it takes to fill my car, or bedrooms that are 3 meters long by 3½ meters wide. Or any boat in the dead of winter. Loafing. Idling, taking it easy, especially to avoid work. Loll. To sit or stand in a lazy, supremely relaxed position. The term also sometimes connotes a droopiness, as when one’s head lolls to the side. Swabbing. Cleaning with something such as a bandage in the case of a wound or with a mop when referring to a floor. On a boat, one swabs the deck. Wistful. Wishful, longing, pensive. You sometimes think wistfully about a place that you loved and miss. Thanks Ted. Super informative. I love being near the water but not so much on the water. 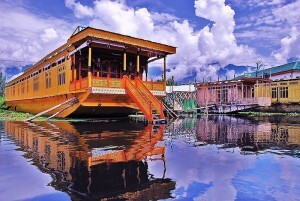 What a descriptive post as I could feel the little ripples lapping the houseboat and rocking me to sleep. Maybe when we get a chance to visit the States again we could spend a weekend on one. That would probably soothe the savage beast in me.